The contents of the NanoDays 2015 physical kit are online and available to download! Please note that this brown-bag is not a tutorial on the NanoDays kit. This is one of two brown-bags focused on the science behind NanoDays kit activities. The two brown-bags will focus on different topics and you are welcome to participate in one or both. During the brown-bag we talked about the phases of water and some of the solid phases (allotropes) of carbon. I had a question about how the different forms of carbon are created. To understand the conditions under which materials form, scientists create phase diagrams. 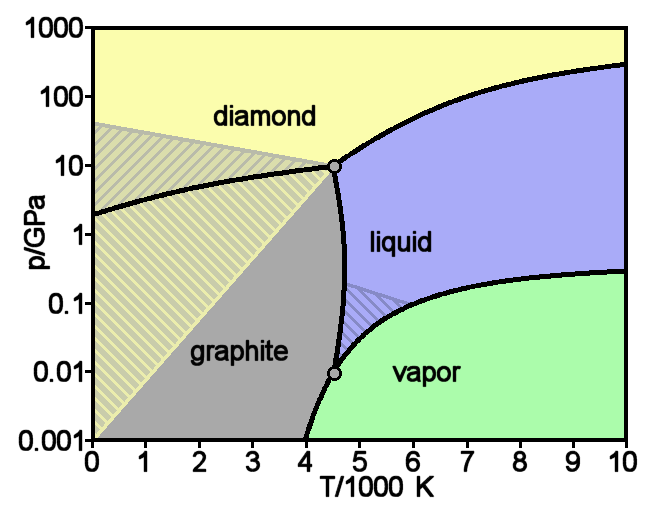 This phase diagram for carbon (the image on the left below) shows that diamond forms at high pressures, while graphite forms under low pressures. To relate this to water, the image above on the right shows the phase diagram for water. However, it turns out that this is a simplified phase diagram. 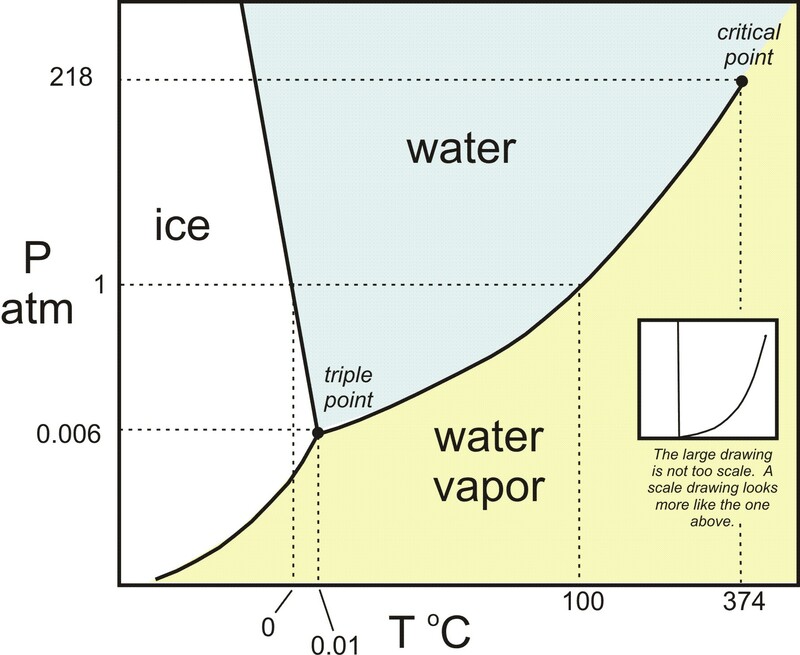 If we widen the pressure and temperature ranges, we’d see that the full phase diagram of water is really complicated. In fact, water has multiple solid phases, just like carbon. The many phases of ice have different crystal structures (different bonding patterns) and different properties. So this might be a good analogy when talking about the different forms of carbon. You can check out this link to learn more about the phases of ice.